Professional photographer, Lauren Kaplan showcases her unique imagery, past and present. Hello! So you wanna know if Lauren does weddings or any other type of events? Just shoot her an e-mail and she will be happy to answer any questions about her photography or anything on your mind. Also, all images by Lauren Kaplan Photography can be purchased as prints to hang as works of art in your home or location of choice. If you see something you really like, let Lauren know and she will give you all the pricing and size details. 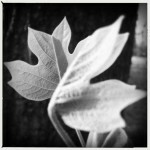 Newly unfolded, two leaves sprung just before the light faded for the day.